The locals in Central Asia are often surprised to see visitors bearing cameras. They are usually very hospitable, offering food and drink. 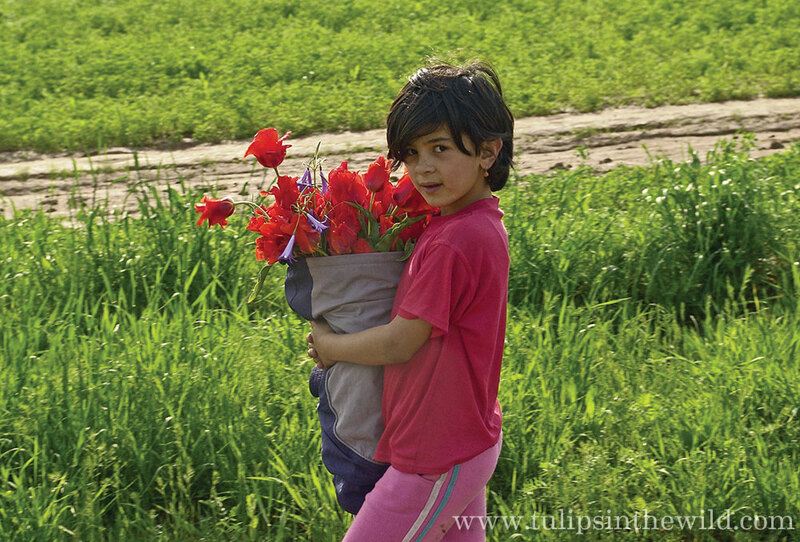 On the side of the road, all sorts of tulips are available for sale.